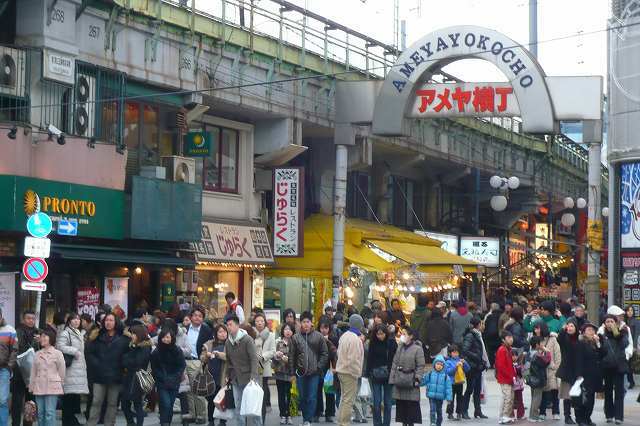 Ameyoko is a packed shopping bazaar full of stalls selling almost anything you can imagine. It runs roughly south of Ueno station along the inside of the JR Yamanote line tracks to Okachimachi station. 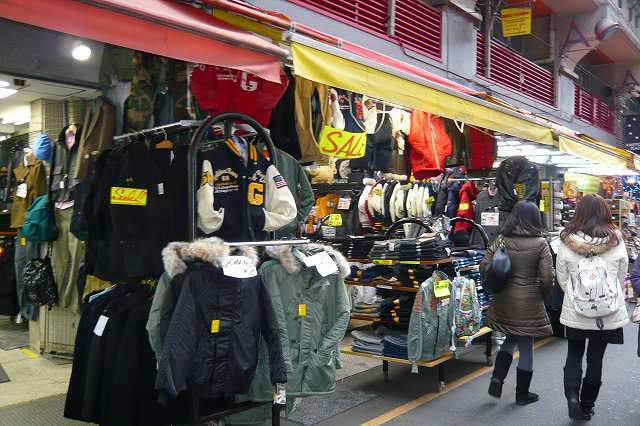 If you are looking for a more typically "Asian" market street in Tokyo, with bargaining expected and friendly vendors trying to out-shout each other, this is it. Definitely a good place for souvenirs for friends back home. The district got its name in the post-war years from the American blue jeans and other items that were sold on the black market. 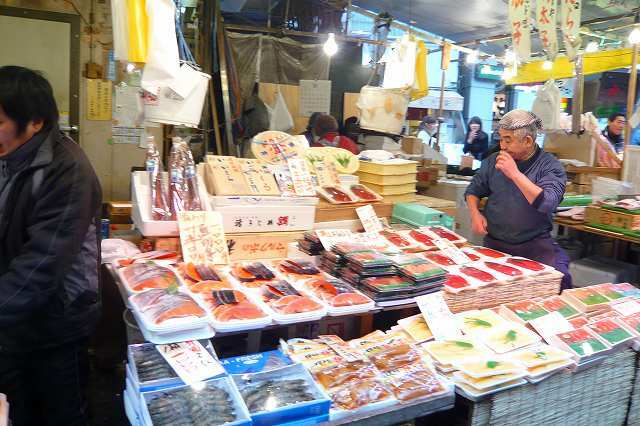 There are many fish markets because the biggest fish market "Tsukiji" is very nerarby. 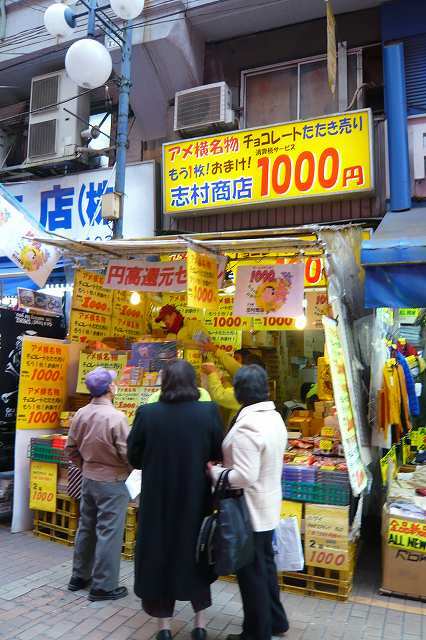 Also, dry food, snacks, and any other food markets are opened and all shops are having a discount price. 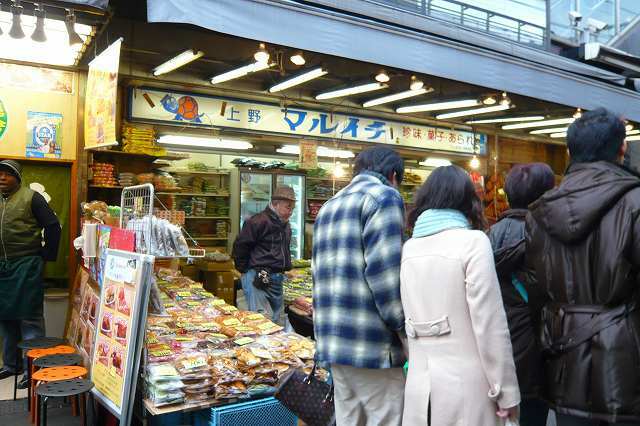 Recently, there are many asian food markets are opened, so you can buy any kinds of asian food and flavors in Ameyoko. 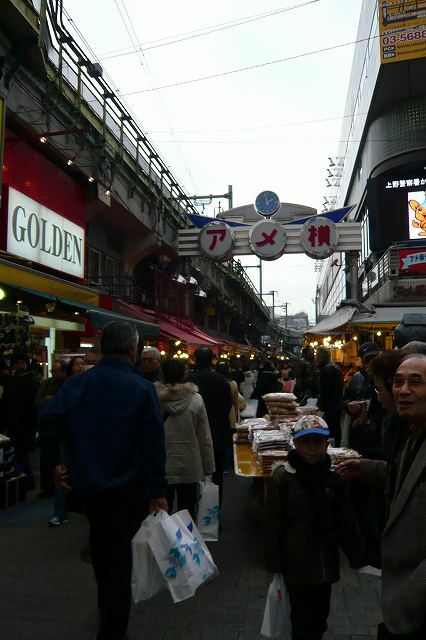 Ameyoko is also now famous for shoes shops. Mita Sneakers is the one of the famous shoe store in Japan. Even like very big shoe maker like Nike has special model for this shop.